Focus your geography learning with these tropical birds unit studies and printables! Inside this post, there are mini books, fact sheets, coloring, copywork, and more! If you are learning about tropical birds or tropical climates in your geography studies and want to add a bit more to your lessons, this unit study is an excellent pick! 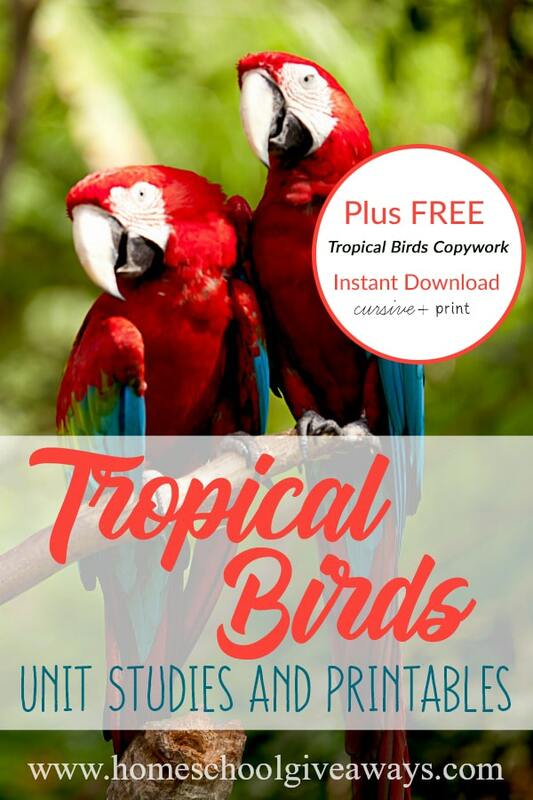 In addition, Carrie from Homeschool Giveaways has created a free cursive and print tropical birds copywork to go with this topic. Click here to get these FREE Tropical Bird resources!